National Pallets is a company dedicated to making pallet delivery as straight forward as possible. Pallets come in standard sizes, however, we understand that you may not be shipping items large enough to fill the entire pallet, which is why we offer small pallet delivery. 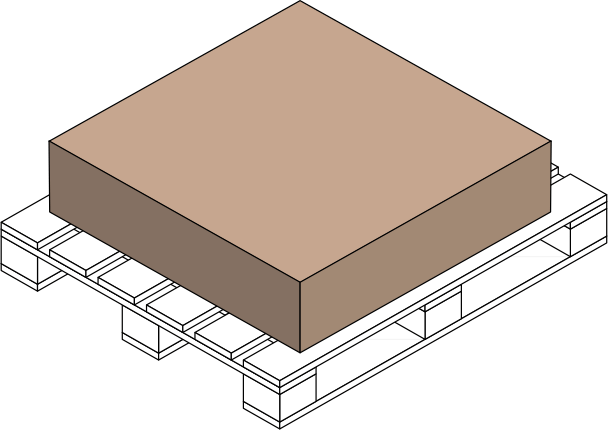 Small pallets, also known as quarter pallets, fit within a standard sized pallet but only measure up to 80cm in height. By offering a small pallet size, we can offer you the best possible rate for your delivery. Small pallet delivery is available on all our services both in the UK and Europe. To get a quote, simply enter the details onto our website and we will work out the rest. To ensure you get an exact quote and check your delivery is suitable for a mini/ small pallet, measure your consignment correctly and consult our pallet size guide if you’re unsure. Click 'Get a Quote' and book your quarter pallet delivery with National Pallets today! How much does it cost to send a quarter pallet? You can send a standard quarter pallet (up to 250kg) for as little as £37.80 ex VAT. For more information on pallet delivery prices, click here to get a quote.